The WHO Executive Board met from 24 January to 1 February. Another question relates to ways to avoid companies or entities potentially trying to evade the benefit-sharing system of the WHO Pandemic Influenza Preparedness (PIP) Framework by making indirect use of PIP Framework biological materials. Also in question is whether the language of the framework should be amended to include virus genetic information, and whether the framework should include seasonal influenza virus. In a resolution [pdf] last week, Board members decided to let the World Health Assembly in May discuss and agree on the draft decision contained in the Board document [pdf] including diverse amendments introduced last week by the European Union and the United States, and marked as such in the text. The UN’s Nagoya Protocol on Access to Genetic Resources and the Fair and Equitable Sharing of Benefits Arising from their Utilization to the Convention on Biological Diversity came into force on 12 October 2014. 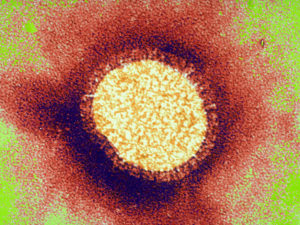 As more countries (now 114) became parties to the protocol and are implementing it, some concerns were raised at the WHO about the protocol potentially slowing the process of sharing of influenza viruses with the established WHO Global Influenza Surveillance and Response System (GISRS). A recently updated (December) analysis [pdf] produced by the WHO, states that the Nagoya Protocol is a source of both opportunities and challenges, and gives anonymous examples of two situations having arisen “in recent months with respect to seasonal influenza virus sharing,” affecting both GISRS and vaccine manufacturers. “The Nagoya Protocol is bigger than the PIP Framework,” WHO Director General Tedros Adhanom Gheyebresus (Dr Tedros) said, closing the item, and adding he would establish a task force to discuss the possible implications of the Nagoya Protocol implementation and how to move forward. Dr Tedros remarked on the world’s vulnerability to a deadly influenza pandemic. Ebola compared to influenza is nothing, he said, remarking on the need for collaboration and solidarity. The question of whether genetic sequence data (GSD) are included in the PIP Framework gives way to different interpretations. Image Credits: Flickr – Sanofi Pasteur.